Dipper and I recently had our first visit to the veterinary emergency room. Approximately $500 later and we’re better for it. While the reason we walked in turned out to be nothing, the ER veterinarians found a totally unrelated issue. Anyone care to hear about Dipper’s urethra stones? In the five or so hours we spent that night in the ER, I learned a few additional things. I’d like to share some ways to better prepare for the absolute worst—a trip to the ER with your dog or cat. In the minutes before I dashed out the door to the ER with my dog, I made a few phone calls as I tried to figure out exactly which hospital to visit. Our West Philly apartment is right around the corner from Penn Vet’s Ryan Veterinary Hospital, but I’d heard horror stories about outrageous bills and long wait times. Despite my phone calls and frantic Google searches, I realize now that there’s no way I could have expected to do a proper audit of ER vets in my panic. While I now know that Penn Vet is ideal for our emergencies, I could have made a huge mistake. Take the time to look into the emergency veterinary services available to you before an emergency. Do you want a hospital within walking distance? Is cost enough of a factor to impact your decision? Had I done my research earlier, my decision would have been much easier. I learned after arriving at Penn Vet that Drexel University and University of Pennsylvania students receive 15 percent off the cost of their pets’ visits. I was a very lucky Drexel Dragon that night. Unless it’s the type of emergency where every second counts, you’ll probably be able to take five minutes to collect yourself before stepping out the door. Think about what you will need to make the visit easier on yourself. In my experience, trips to the ER include a lot of time to think about what I wish I had brought—a jacket for the cold waiting room or a comfier pair of pants. These things may seem fickle, but they can make the difference between maintaining your composure or losing your mind in the ER. It’s easy to focus on the worst when the vets take your pet away, so while they take care of dog or cat, you need to take care of yourself. I made sure to bring my phone charger and a bottle of water. These simple comforts made it much easier for me to relax. It helps to have a familiar face to turn to when it feels like your whole world is crumbling. I’m eternally grateful that a friend came to the ER with Dipper and I. While I made sure to bring my phone charger for continued communication with my family, if I had to choose, I would have preferred the presence of a friend over my digital contacts. An in-person friend can also be the thing that gets you off the phone. I found myself messaging at least three different people and recounting the story of Dipper’s illness again and again. This certainly didn’t take my mind off the situation—it simply made me feel worse. My friend was able to distract me from the responsibilities of my phone without worrying about Dipper. Further, a friend can take care of you if you receive bad news. She can calm you down or call a cab. Without someone there, you’re on your own. Like your initial decision on where to take your pet in an emergency, this isn’t something you can do in the moments before a trip to the ER. Rather, it requires a change to the way you take care of your pet. I was able to help the ER vets by recalling Dipper’s history of vomiting and even his bowel movements, information that proved vital in diagnosing his issue. Had I not been making mental notes of his bodily functions before this trip, I certainly would be now. 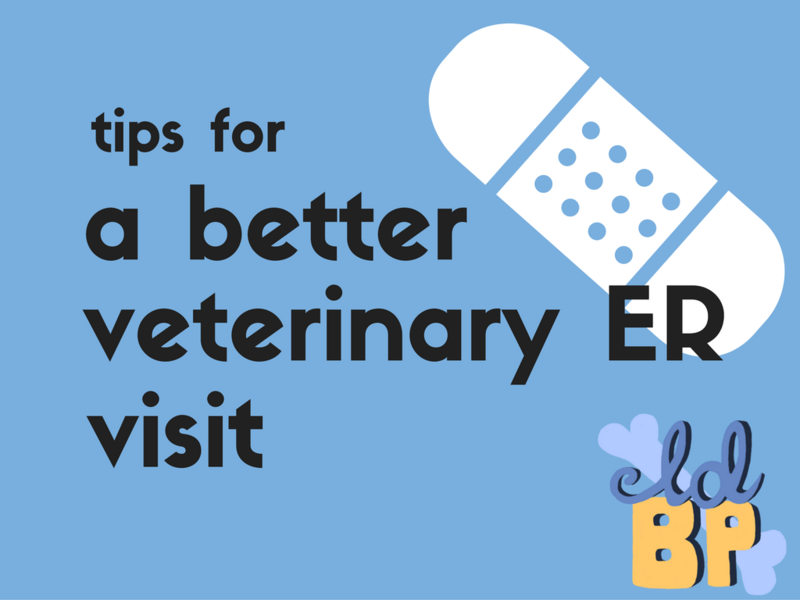 Have you ever taken your pet to the ER? What was it like? Get a conversation going in the comments below! This is some really good information about veterinarians. It does seem like a good idea to know if they can treat your pet in emergency situations. I wouldn’t want to go to a different vet in those situations. Thank you! It’s important to do your research before an emergency. Thank you so much for talking about the importance of choosing a veterinarian before you have an emergency. We are looking into getting a parrot and want to make sure it gets the medical care it needs. As I see it, it pays off to take the time to look for a vet that has experience with animals like yours and who has great reviews from previous clients. Glad to hear our experiences helped you! Best of luck with the parrot! Great tips!I’ve found a dog on the street and in order to be sure about its health I need to find a vet. This article is very useful and my favourite part is about checking the emergency veterinary services before an emergency. Now I know what to pay attention to in order to guarantee the safety of my pet. Taking the time to do your research before an emergency happens is definitely one of the best things you can do for your pet. I would imagine there isn’t really a lot of time to look into different clinics when there is an emergency. Knowing where you’re going right away can really save you a lot of valuable time when your pet is sick. I liked what you said about recalling their history to help diagnose them. Our dog isn’t doing so well right now and we’ve been getting pretty worried that it’s a serious problem. We’ll be taking him in soon, but I’ll also try to have everyone pitch in and tell us what they’ve noticed over the past few days so that we can give a comprehensive knowledge of his history to the vet. Thank you for the advice! I’m sorry to hear about your pup! I hope everything goes well, and I’m glad we were able to help a little. Good luck at the vet! I really appreciate your tip to bring a friend with you to distract you from your worries. My dog has been acting strange lately, and we are afraid with his old age that it might be something serious. If our dog has to go into the emergency room, I will be sure to ask my close friends to go with me. One of my birds has been a little sick recently, so I’ve been thinking of taking her to the vet. However, I’m not sure which vet to take her to. It was helpful when you said to do my research, as it will help me find the best clinic for my pet. What are some other tips for choosing a good veterinary clinic?